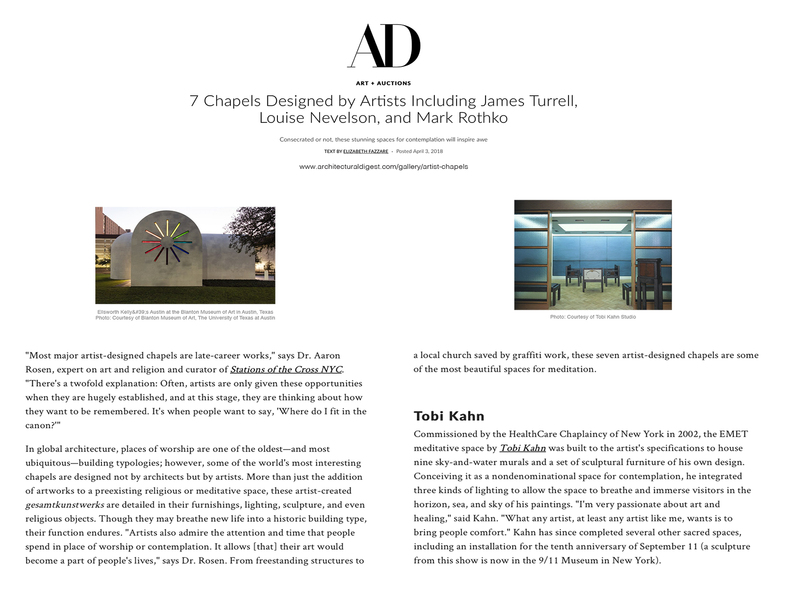 Architectural Digest online published an article entitled,”7 Chapels designed by Artists” including James Turrell, Louise Nevelson, and Mark Rothko. 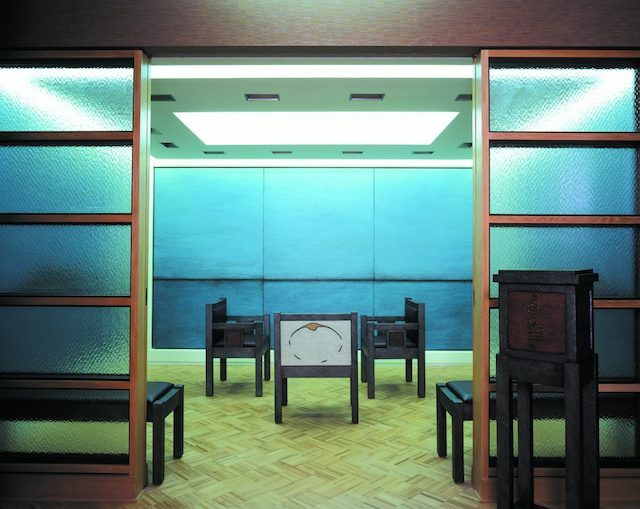 Our Advisor and artist member Tobi Kahn was featured with EMET, his meditative space created in 2002 for the HealthCare Chaplaincy in New York. Our Advisor Aaron Rosen, who recently curated a large art project in Manhattan, Stations of the Cross, is quoted in the article.